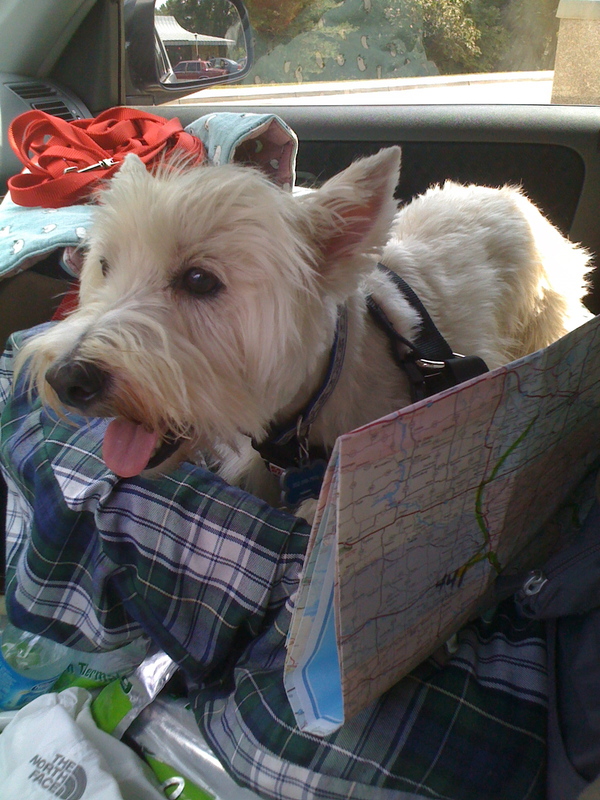 This entry was posted in Family, Genealogy and tagged family, Genealogy, Stephen Foley Family on April 10, 2011 by Jannet Walsh. Click on image to see a chart of the blogs from the past two weeks on Minnesota Native Daughter. If you have missed a blog post, you might consider following my RSS feed, meaning Really Simple Syndication. You can bookmark it on your toolbar. 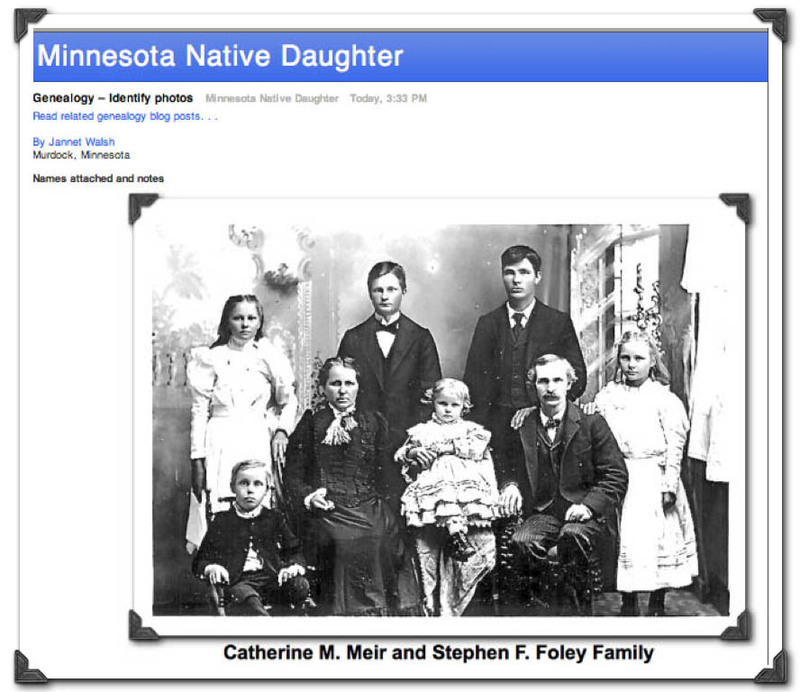 This entry was posted in Blogging, Genealogy, Minnesota, Minnesota Native Daughter, Murdock news, Religion, Stephen Foley Family and tagged blogging, family, Genealogy, iphone, Murdock, Rural, Stephen Foley Family, Travel on January 28, 2011 by Jannet Walsh. 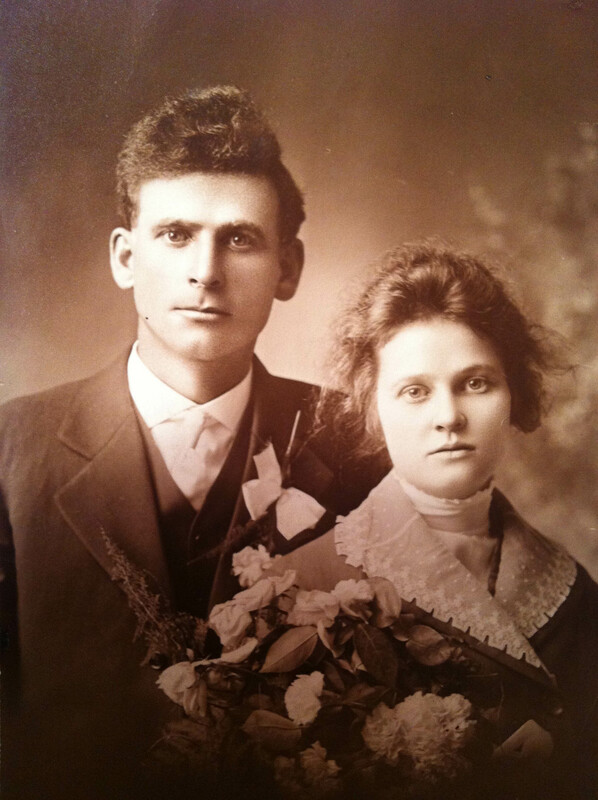 Mary Jannet â€œJennieâ€ (Foley) Walsh, 29, and Martin J. Walsh Sr., 28, were united in marriage Nov. 4, 1915, at Sacred Heart Catholic Church in Murdock, Minnesota. I just uncovered this photo of my grandparent’s wedding that is simply precious. They were married a the first Sacred Heart parish built in 1894, under the direction of the Rev. P. J. Oâ€™Connor, of De Graff, for the cost of $5, 137.70. 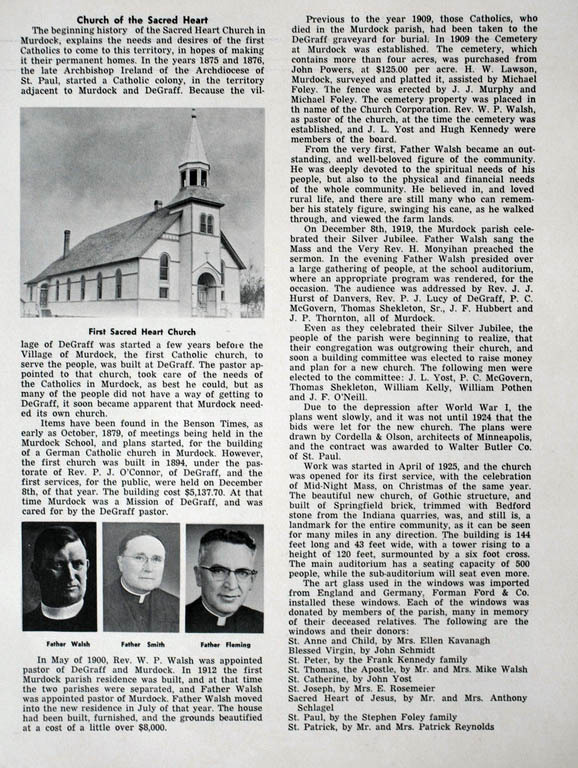 The first public services, unknown if it was a Mass, was Dec. 8, 1894, according to Swift County history. Need to get the church history book that I understand should be available. See below for more details on Swift County. My grandfather Martin, known to many at “Mart”, was born in Dublin Township, Swift County, on Feb. 19, 1887, in section 32, in a house that was later moved from De Graff. He died at age 101 on Jan. 15, 1998, at Rice Memorial Hospital in Willmar. Understand my father Martin J. Walsh Jr. and my aunt Margaret Walsh were at his bedside when he died. They had apparent spent many nights sleeping at the hospital before my grandfather and grandmother passed away. My grandmother â€œJennieâ€ was born March 23, 1886, in Louriston Township, Chippewa County. She was 100 years when she died at Rice Memorial Hospital in Willmar on Feb. 26, 1985. 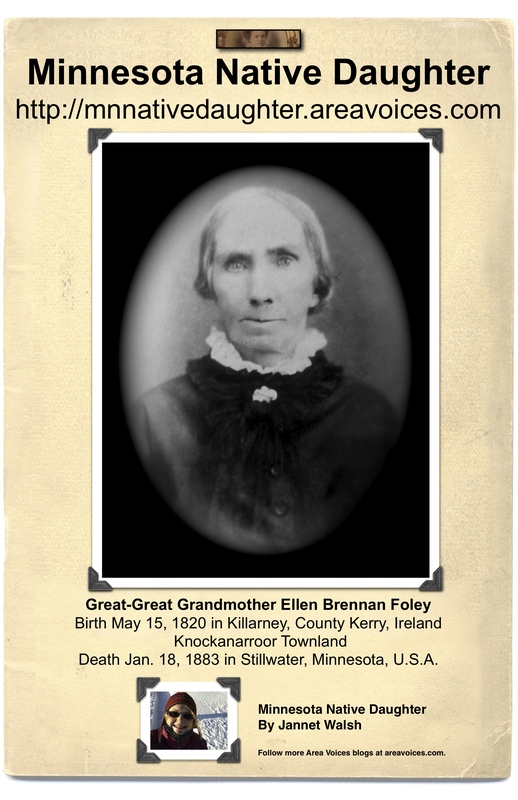 Learn more about my grandmother. 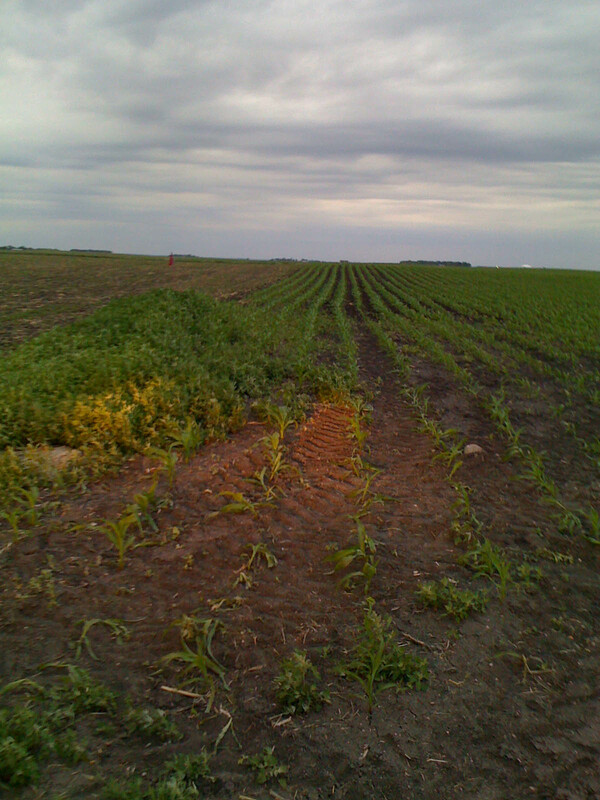 This entry was posted in Genealogy, Minnesota, Minnesota Native Daughter, Murdock, Murdock news, Stephen Foley Family, Uncategorized and tagged blogging, family, Genealogy, iphone, Minnesota Native Daughter, Murdock, Rural, Stephen Foley Family, Travel, Willmar on January 20, 2011 by Jannet Walsh. I was delighted to read my new blog Minnesota Native Daughter mentioned in Kelly Boldan’s column in the West Central Tribune, along with other AreaVoices blogs. 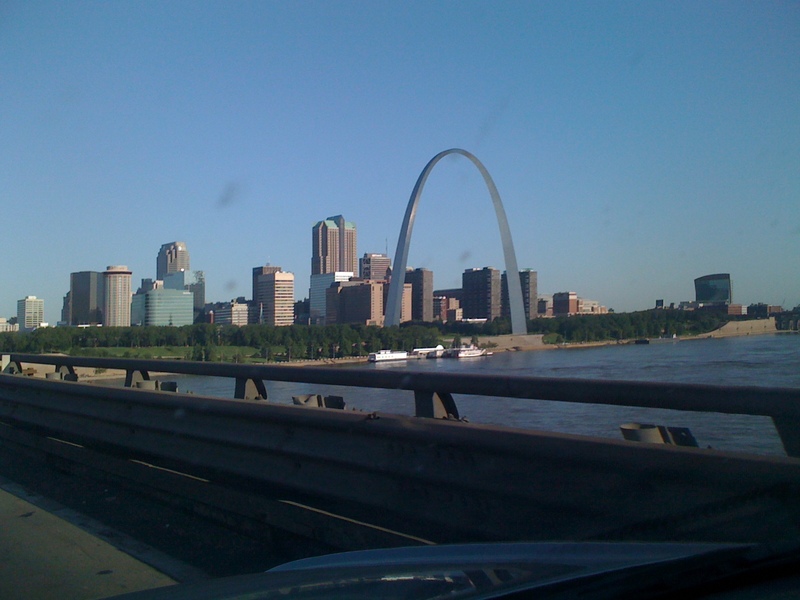 Here is a view from the dashboard of my car of the St. Louis Gateway Arch, in St. Louis, Missouri. The idea for Minnesota Native Daughter originated in Ocala, Florida with a conversation with my friend Lucy Tobias, an Authentic Florida Expert and author of 50 Great Walks in Florida. The blog name started as Native Daughter, but I found a blog with the name already taken, so Minnesota Native Daughter was born in the blogosphere. Watch my video about Lucy and her book if you are planning a trip to Florida. If you are interested in starting your own blog, go to AreaVoices.com. 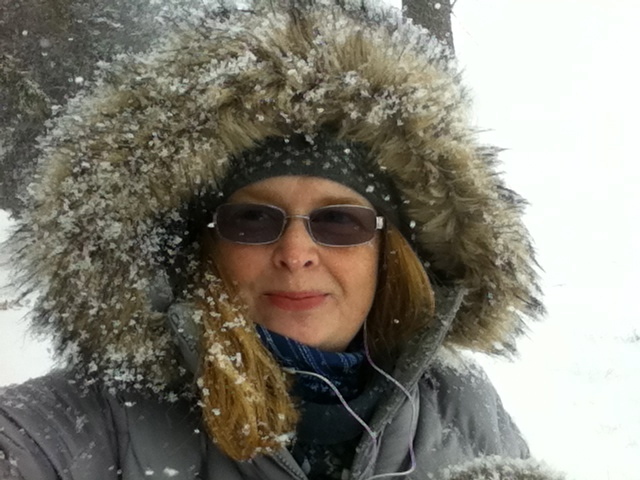 Native Minnesotan Jannet Walsh is a blogger, columnist, journalist, photojournalist, terrier owner, hula hooper and more! 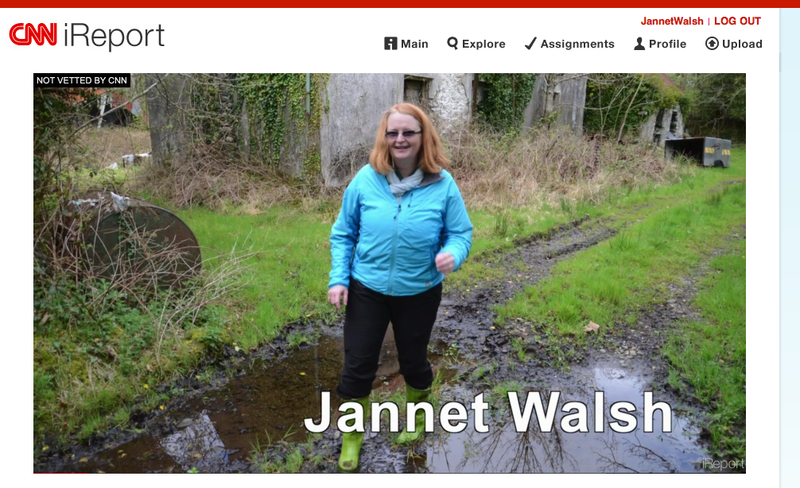 Contact her at jannetwalsh@gmail.com. View her other blog at http://jannetwalsh.blogspot.com/. This entry was posted in Blogging, Family, Genealogy, iphone, Minnesota Native Daughter, Travel and tagged blogging, family, Genealogy, Jannet Walsh, Minnesota Native Daughter, Murdock, religion, Rural, Stephen Foley Family, Travel on September 5, 2010 by Jannet Walsh.